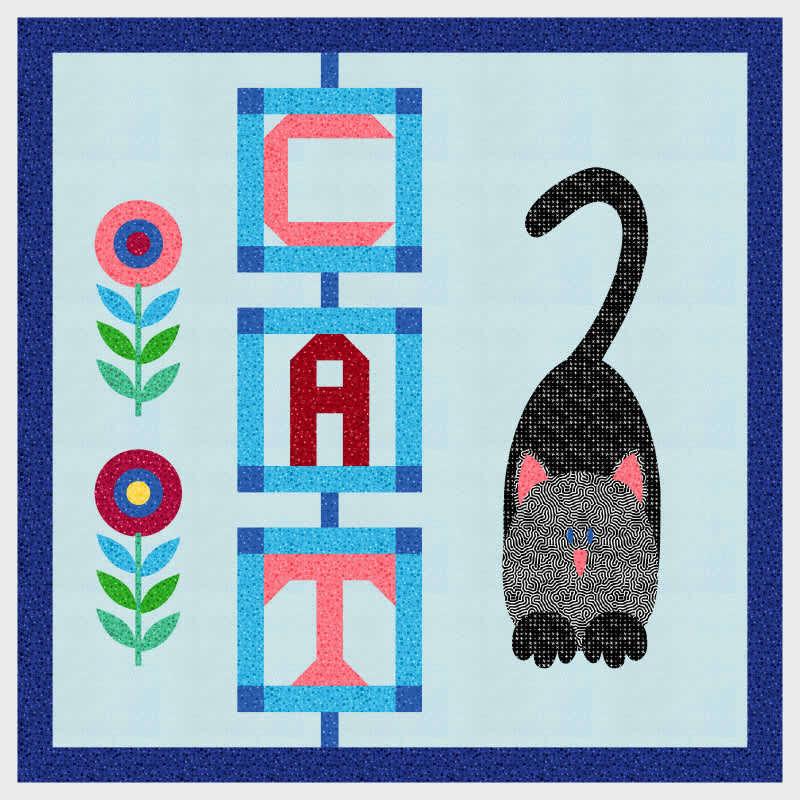 Show some love to our fur-babies with this purr-fectly beautiful wall hanging! 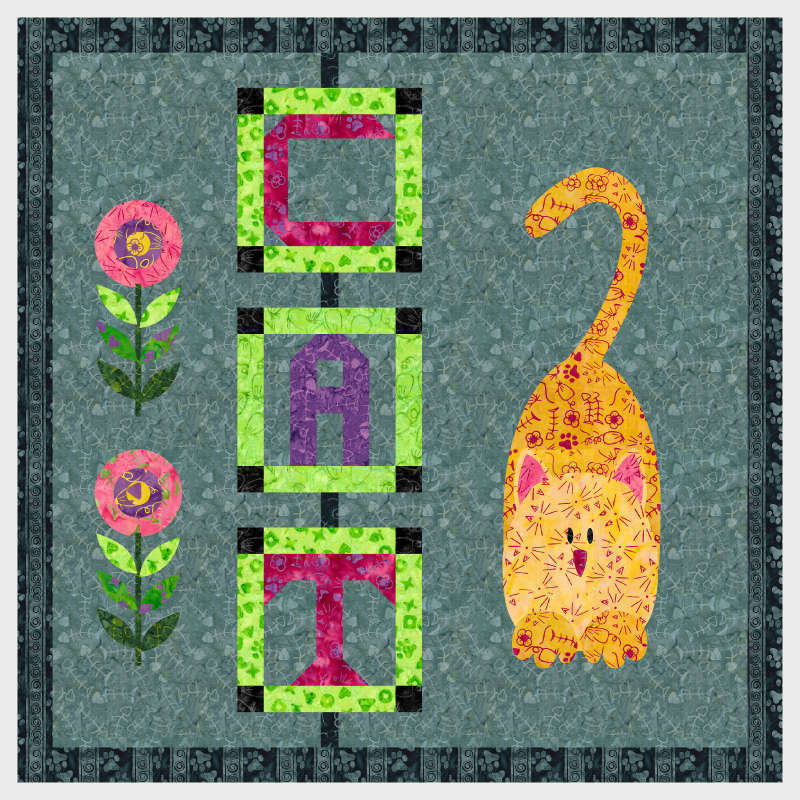 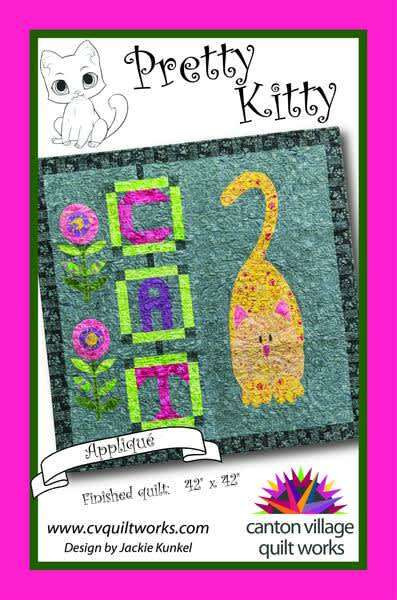 Piece the word CAT, then Applique your kitty cat with your choice of decorative machine stitching. 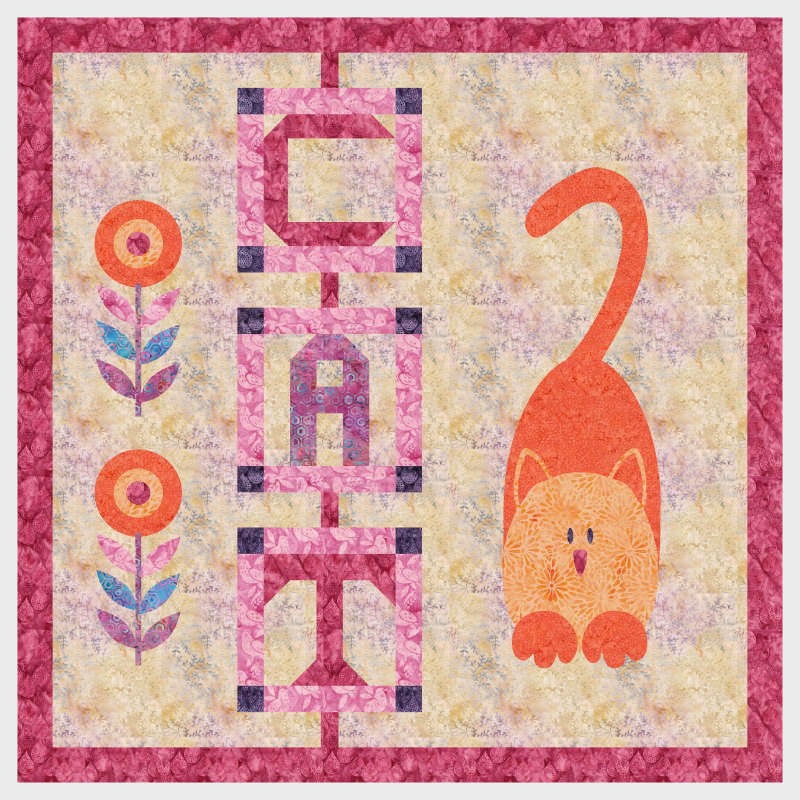 Customize your colorway at Quiltster.com.